A view of the Bridgeton Landfill, taken in the fall of 2014. Neighbors and environmentalists disagree. Residents of Bridgeton and Spanish Lake have long complained of the site’s strong odors, which they say trigger asthma attacks, headaches and nausea. Environmental groups have expressed concerns that the fire smoldering under the Bridgeton Landfill is dangerously close to radioactive waste stored at the neighboring West Lake Landfill. 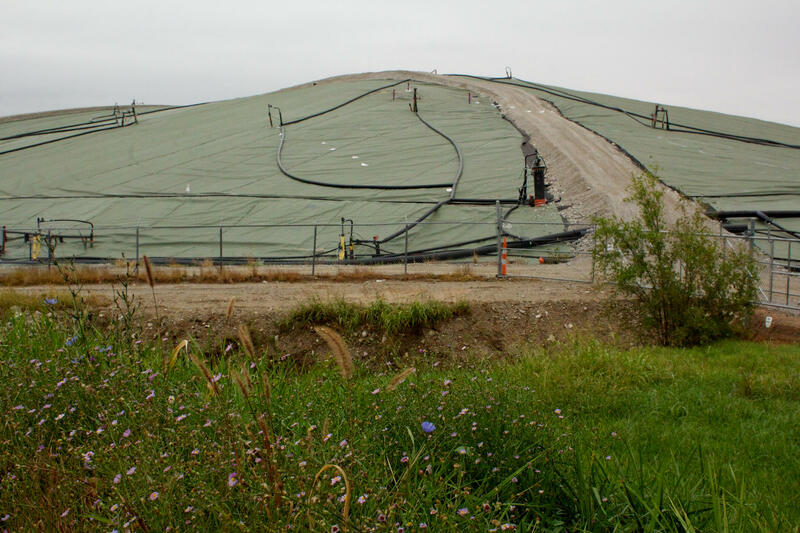 The EPA is in charge of monitoring the West Lake Landfill because of the radioactive waste. The Missouri Department of Natural Resources monitors air quality data for the Bridgeton Landfill section of the Superfund site. 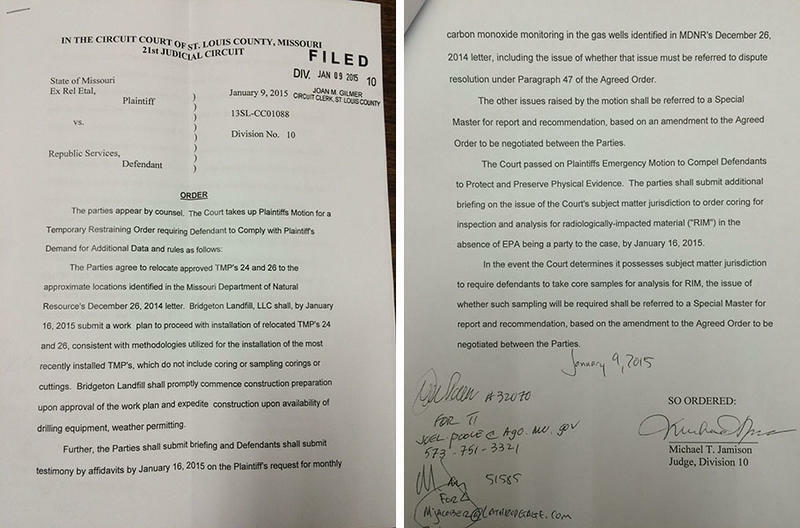 The Missouri Attorney General filed a lawsuit earlier this year against the Bridgeton Landfill’s owners, Republic Services. During a press conference Tuesday by phone, Brooks said his agency acknowledges that odors from the site have been, at times, intolerable. Listen to the full press conference here. The EPA set up five monitoring stations in Bridgeton and St. Charles in the spring of 2014 to measure dozens of volatile organic compounds, or VOC’s, that are typically associated with landfills—some of them, common industrial solvents. Although some stations reported higher measurements of five VOC’s (chloroethane, chloromethane, methylene chloride, trichloroethene and styrene), the report concluded that the compounds were either not related to the site or were present in very low levels. “VOC measurements obtained from the off-site monitoring stations appear typical for outdoor urban measurements,” the EPA wrote. The air quality data collected by the EPA will be used as a baseline to measure emissions produced when the Republic Services begins construction of a fire barrier between the Bridgeton and West Lake Landfills. But Ed Smith of the Missouri Coalition for the Environment said neither the EPA nor the state has investigated the long-term effects of the landfill’s emissions. “It’s reassuring that the EPA has found no acute exposure issues. What we’re concerned about now are the chronic low exposure issues,” Smith said. In addition, the EPA report didn’t include levels of sulfur dioxide, which likely causes the smell. “This proves that the state and the EPA can’t work together, that they’re not communicating,” said Dawn Chapman, who lives two miles from the site and co-founded an advocacy group for residents who live near the landfill. The release follows a December groundwater report from the U.S. Geological Survey. The review found "significantly higher" concentrations of radium in about half of the site’s monitoring wells. It also found higher levels of chloride, bromide and iodide. Quite a bit of information has come out over the past month about the West Lake and Bridgeton Landfills ― some of it contradictory and confusing. So when EPA Regional Administrator Karl Brooks offered up an interview ― about something else ― I took advantage of my time with him to try to clear up some of that confusion. We talked about the underground fire at the Bridgeton Landfill; about the firebreak that’s supposed to keep it from reaching the radioactive waste at the adjacent West Lake Landfill; and about groundwater contamination in Bridgeton. 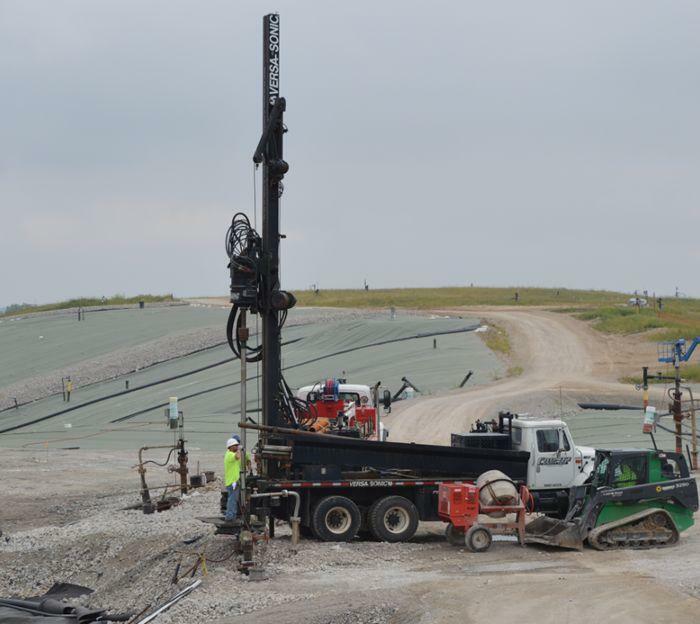 Following a long afternoon of negotiations, Bridgeton Landfill owner Republic Services has agreed to install two temperature monitoring probes in the landfill's north quarry, near radioactive waste at the adjacent West Lake Landfill.